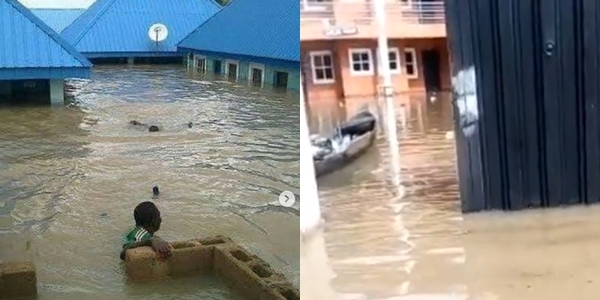 Flood has taken over Amasoma community in Bayelsa state, where the Niger Delta University, NDU, is located. 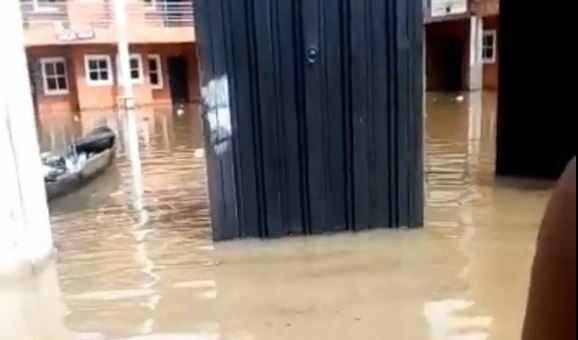 According to Voke Akpata, a Medical student of the University, who spoke with Nairanaijanews, the flood started very little about two weeks ago but has become worse just this week. 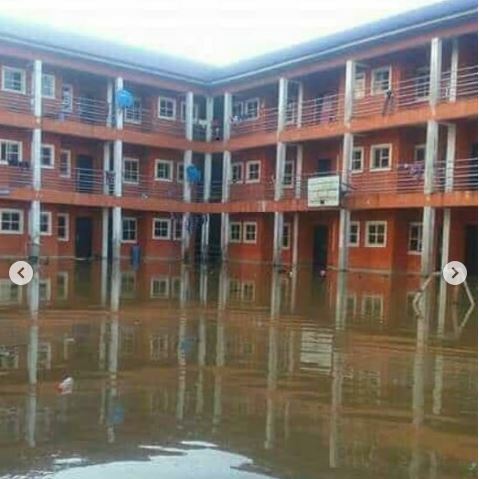 "This is my school o, NDU, this whole flooding issue started about two weeks ago, and have gotten worse this week that students are now using canoes to go for lectures and back to their respective houses." A video she sent to Nairanaijanews.com further revealed the condition of the students. Students were seen using canoes and some of them saying "This is my lodge, flood". 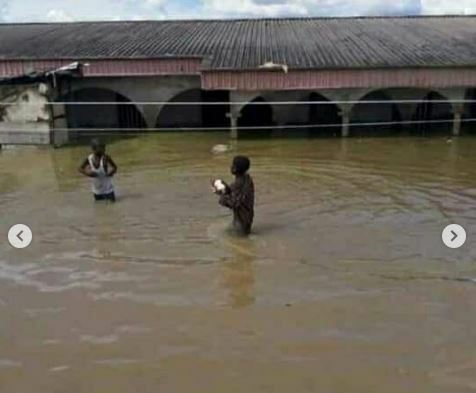 No fewer than 150,000 persons have been displaced by the flood in Bayelsa, the National Emergency Management Agency (NEMA) on Sunday, said.